Busy On Cloud , Unique Offering by NetForChoice Solutions! Access your Busy anywhere anytime!! Yippie... No need to sit in office to complete the work! This is a Home or Office work envirment. Any Computer or Laptop Anywhere and Anytime. Absolutely NO frastructure cost. Keeping data on Cloud Server is highly safe then your local computer. Security with reliablilty of your data is our prime moto. 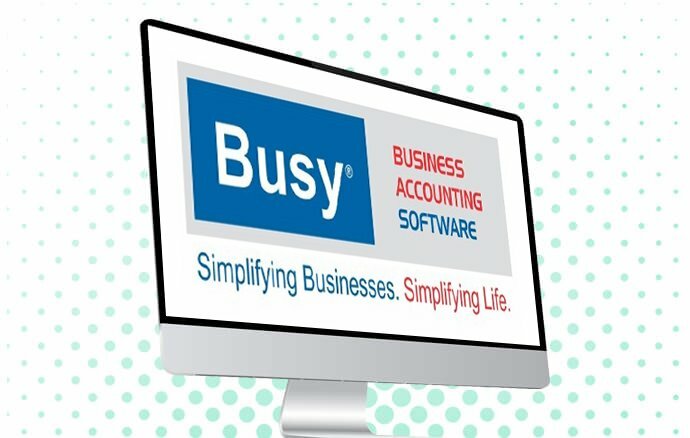 BUSY DHS is a Cloud based platform. 100% compatible with BUSY GST Release. 5 Minutes ready to use setup. This is our unique service which removed the barrier of time and place for maintaining the accounting, inventory or statutory data. In closing time or heavy rush time period for finalizing accounts, making sales statements after all day billing and many other situation, every body was spending time in late hours in office or shop. Now after using our Busy DHS services you can feed or maintain data in office or shop. Go right time back to home. In your comfort zone open DHS and continue working on that. In morning at office or shop you will get the updated data to work further. It will make life easier. Manage your all Purchases, Sales, POS, BOM, each & every transactions. You can use your local printer to print the invoices/ledgers, etc. You can use your local disk to export or synchronize your Busy data. NetForChoice Solutions is only Cloud based platform company proving the BUSY on cloud server to be featured on Busy Accounting Software Website. Following are some features. Hosted on Tier 4 infrastructure with 99.9% uptime. Your Busy Enterprise Edition is securely available 24/7 wherever you are. Work as per your comfort zone and the time suits you to work. The secured RDP tool that is powering Busy Software on Cloud is optimized in such a way that even on low bandwidth. You can connect using 2G, 3G / 4G network, or any Broadband. It simply working perfect. Data is hosted on highly secured servers. It is on Firewalled network. Encrypted data flow. Backup of data is taken automatically every night. You just relex and feed your Busy data on a highly secured infrastructure. Some time it is required to have data in excel on local computer for MIS reporting purpose. You can Importor Export data From server to your local disk at your office computer if required. Although your data is on cloud, you can print all of your reports, details, invoices on local printers. Poweful Printing Tool. You can create Invoices, Ledgers, etc. in Busy Enterprise Software running on Cloud; and print it on your local printer, connected to your PC in your office. No hassle to install printer drivers, It support all printers. Data can be fed from any where. If you are feeding acclunting data from office, you can see the same from home or anywhere it is required to see. This way you will be able to work even in odd hours if required without sitting in office or shop. This will even help to get your audit done online.